We're wrapping up the installation today and the show is looking great. I know Rick would be proud! I've heard a few people say that they feel like shows at Glitch often feel like an inside joke and I'd say this one accurately fits that description. 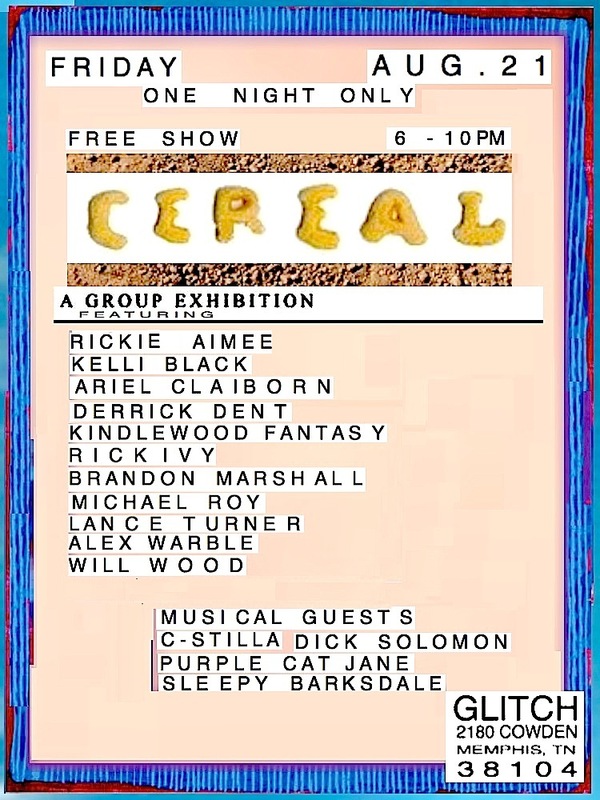 Cereal was formulated over coffee-talks between Rick Ivy and I over at Otherlands, his studio, and here at Glitch. Both of us agreed that the life of an artist or a musician puts one in a perpetually crazed mental-state. Most people think we're crazy and we think they're all crazy. It's a win-win situation, right? The dream is that *ONE DAY* this manic behavior will lead to some sort of success in whatever path we choose. Making art should put food in our bellies, but for most, it's not the this hunger that drives the art. It's the "CAN'T STOP MAKING STUFF" mentality. 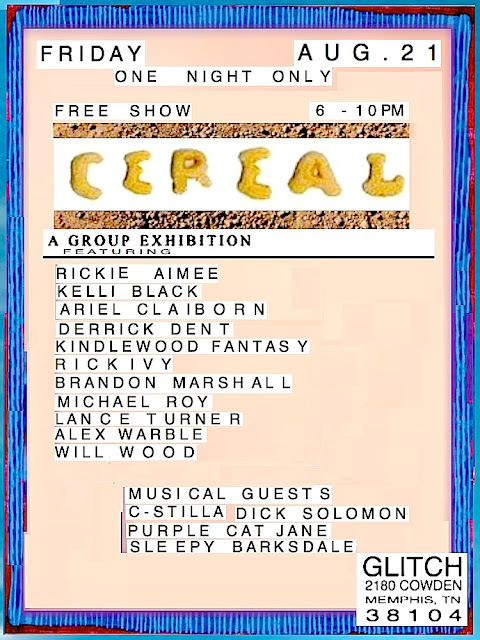 Initially, Rick was going to select all of the artists in the show, but in light of him passing onto the next dimension, I've rounded up a handful of artists that I believe manifest some form of "serial activity" in their work as a tribute to his original vision. That includes both of us. There is a sense of disastrous optimism at play within the space and I like that! There was no rough draft for this message and I feel like I'm rambling. Come over Friday so we can talk more about it.